This Mission File Cabinet has two lateral file drawers that will help to keep your work space more organized and productiveas well as plenty of room for a bookcase topper or a lateral file topper. 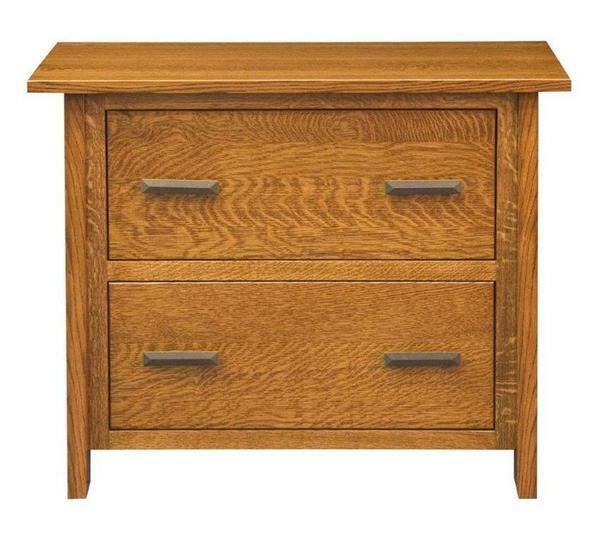 Shown in attractive quarter sawn white oak wood with Michael's Cherry stain, this stunning lateral file cabinet can be ordered with this exact wood & finish combination or with another wood and finish that best matches your personal style and office decor. Note: File Cabinet Topper is Sold Separately. To view this item go to product 12375.